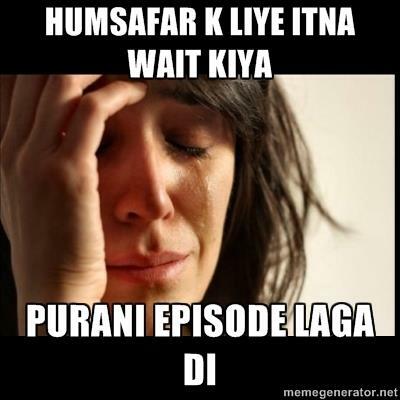 Of Humsafar’s Repeated Episode…….Who Was Behind This Act of Terror? It is 8 pm and the fateful date is the 4th of February 2012. It’s a Saturday evening, but the streets of Karachi are unusually empty. The air is heavy with anticipation. Tick tock tick tock. Moments slide lazily. Finally, the moment arrives. The moment for which millions across Pakistan waited the whole week. Quratulain Baloch croons, yet again, “Who Humsafar tha”. Mahira Khan, or Khirad, smiles bashfully as Fawad Afzal Khan, better known now as Ashaar, smiles his way into our hearts with understated passion. Any and every program for the weekend has been put on hold. The women of Pakistan, and even the men under influence of the women in their lives, are having that crescendo moment of the week. Humsafar is about to begin. Will Khizar spill the beans to Ashaar? Will Sara commit suicide? Will Hareem survive the open heart surgery? Will Ashaar finally develop a spine and see reality? The questions are so many and so important. I am sitting with my cup of tea which I specially held on to, to watch it with “Humsafar”. I am enjoying the scenes unfold till the phone rings. I refuse to take it. It is my cousin. I plan to call her after the episode is over. But her calls gain frantic pace. I pick up. She is screaming in disbelief. “They are repeating the episode!” she says, amidst tears. “What? Let me confirm it,” I say. Another friend confirms it. I open my facebook page. Yes, it’s true. My home page is flooded with status updates full of anger, disillusionment, disbelief and denial. I realize my good fortune! I had missed the last episode due to a doctor’s appointment. I am enjoying sadistic pleasure out of it, feigning sympathy for my friends. Well, a part of me actually feels for them. But I am relishing the moment. I grab a kinnoo and some chilly chips from the kitchen in celebration, just as the last commercial break approaches. The doctor’s visit saved me the pain. A running strip on the bottom of the tv screen announces that the channel is apologizing that the episode could not be aired due to “technical difficulties”. And the stream of conspiracy theories begins flowing. Animated discussions begin. Was this to increase ratings? 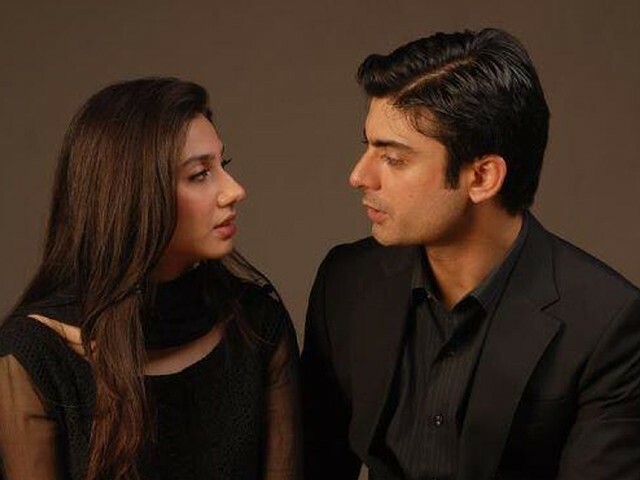 Is Humsafar playing hard to get to keep the spark alive? Were there issues with the sponsors? Is this a chaal of the extremists? The Talibaan? Are the free masons behind this, if not the US of A? The official facebook page of Humsafar makes a lame attempt at trying to “make up” by writing “Bicharnay waale mein sub kuch tha, bewafaai na thee”. But no amount of pledges of loyalty and sweet kootchie-cooing is apparently enough to make up for the pain the fans went through. So the classic stages of grief are in play: Denial, anger and finally resigned acceptance. What can we do but Sabr. So we all start the waiting game yet again. Once more, we are waiting for next Saturday……for a new glimpse of the intense and dashing Fawad and the stunning miss-goodie-two-shoes Mahira. Hang in there friends. Next Saturday you will all hopefully sleep happier and more fulfilled. 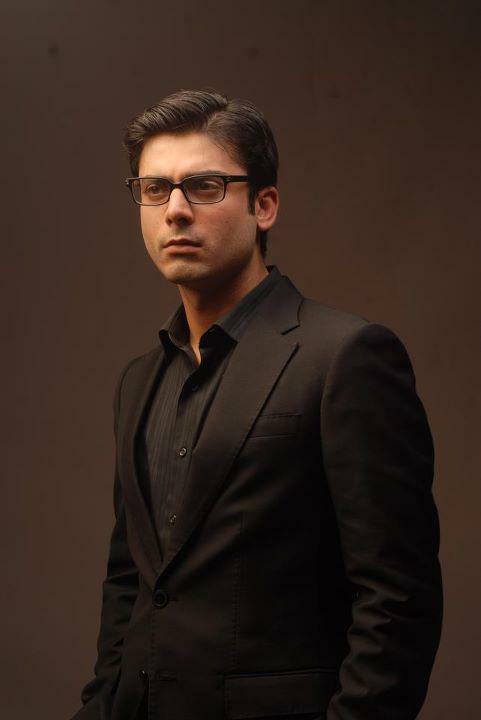 Till then, here is to all the Humsafar fans (all genders included). 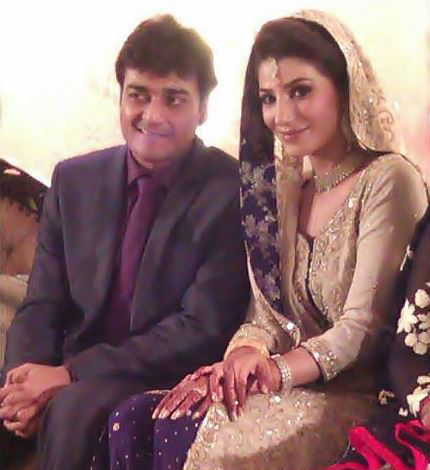 Posted in In The Loop and tagged Humsafar. Bookmark the permalink.